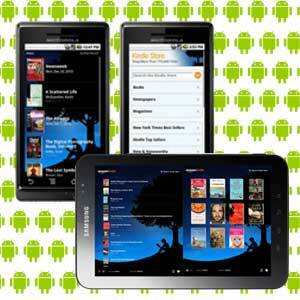 Getting Kindle app for Android is very straight forward. You can directly download it from Google Play Store here, there is no region restriction like Apple devices. However, for some Android devices that do not come with a pre-installed Google Play Store or cannot install the Google Play Store, for example some of the China version Android devices like Samsung Galaxy Note 10.1. Or, for any reasons, the Kindle app does not appear on the Google Play Store, then you can download the Kindle app for Android from this Amazon official site. After you have downloaded the apk installation file, you just need to transfer the file onto your Android device for installation. 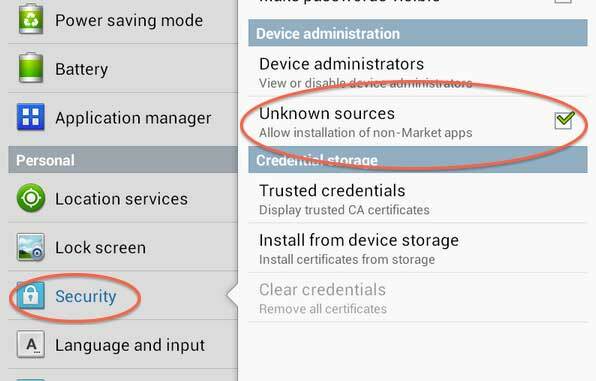 One thing to remember, if you are downloading and install app from other than Play Store, you need to enable this “Allow installation of apps from sources other than the Play Store” in your device's security settings. After installing the Kindle app onto your Android device, you can enjoy all the Kindle features like read the sample books before buying, read magazine & newspaper, Whispersync your all Kindle book across all your Kindle devices & apps, enjoy free Kindle book on popular titles if you are Amazon Prime member. If you are using the Kindle app for Android in Singapore, Malaysia, Indonesia or Brunei, you will be facing the same problem like other Kindle users in this region. You can not buy the Kindle books from Amazon from these countries, even if the book is made available in your Kindle app for Android, you cannot buy it directly from the app, else your Amazon account may be in the risk of getting banned. However, there is a way for you to overcome this problem, do refer to this tutorial on how you can buy Kindle book outside US. Lastly, if you find this post useful, do support us by Facebook ‘Like', Tweet or Google Plus. This info needs to be updated. You can’t get Kindle app from Playstore in Malaysia. No worry, you can refer to the 2nd paragraph, there is a download link where you can download the Kindle apk file and install it onto your Android device.